Why did Kesha fail in her attempt to break her contract with SONY and Dr. Luke? Attorney and legal analyst Wendy Murphy discusses her thoughts on the topic. Kesha has released her first new music in four years and announced a forthcoming album, her first since a high-profile legal battle with Dr. Luke over a lawsuit accusing the music producer of sexual assault and harassment. Kesha has debuted "Praying," the lead single from "Rainbow," her first album since 2012's "Warrior." Co-written by Ryan Lewis, "Praying" features lyrics about overcoming adversity. In an essay for Lenny Letter , Kesha writes that the song is about "coming to feel empathy for someone else even if they hurt you or scare you." 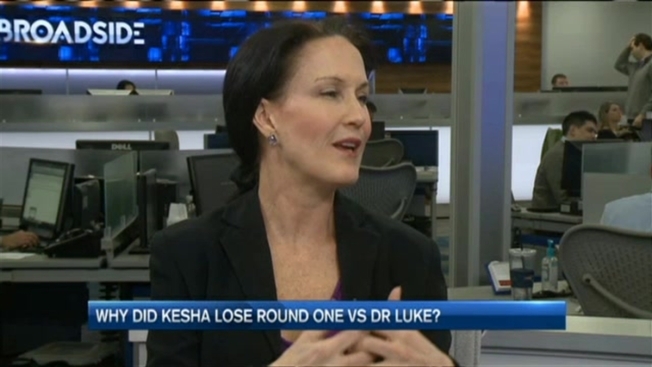 Dr. Luke, whose real name is Lukasz Gottwald, has denied Kesha's allegations. "Rainbow" is due out Aug. 11 and features appearances by Dolly Parton, Eagles of Death Metal and the Dap-Kings.